Landfills, dams, retaining walls, pile design, buildings, bridges and earthworks… Geotechnical engineers lay the foundation work for these types of projects. Geotechnical engineers understand the behavior of earth materials. By using rock and soil mechanics, they investigate subsurface conditions. From their findings, geotechnical engineers can improve design for earthworks and structure foundation. 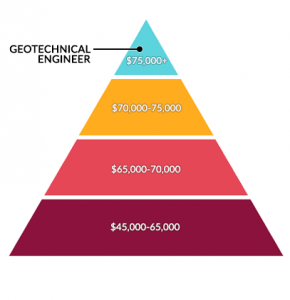 Geotechnical engineers are among the highest paid for Earth Science careers. 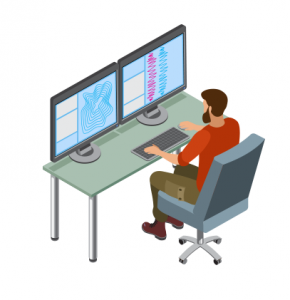 Here’s why geotechnical engineering is a career in demand now. 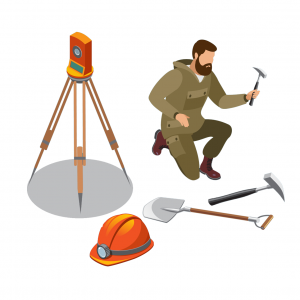 Careers in geotechnical engineering have seen a rapid expansion over the years. This field is growing rapidly which includes pay scale. For example, geotechnical engineers earn upwards of 84,000$ depending on education and experience. Geotechnical engineering professionals often work in the private sector for engineering firms. There are also jobs in education and government. Most employers are clustered in construction, civil engineering and the military. However, natural resource firms in mining and petroleum hire geotechnical engineers as well. At the start of a project, an engineer designs a structure with a certain load pushed on earth. Based on load characteristics, geotechnical engineers design foundations using its soil characteristics and rock mechanics and properties. This means that geotechnical engineers often oversee drilling and sampling operations on site. At this point of a project, they work with soil scientists or geologists. After they collect boreholes cores, they review test results in laboratory. Finally, they can determine the appropriate parameters for an engineering analysis. Various industries use geotechnical studies in different ways. For example, a retaining wall, landfills or dam site may be interested in performing a slope stability analysis. But the transportation industry may use pavement evaluations and pile design studies for roadway and bridge projects. Finally, site reconnaissance is useful in mining to identify potential access issues. This can include and any other geotechnical issues that could affect project development. Civil engineering, soil sciences and geoscience degrees are often the most sought after degrees for geotechnical engineering careers. If you are in college, useful courses include mineralogy, material science and sedimentology. When you combine soil deposition and formation with the structures and composition of minerals , you get better groundwork to predict their behaviors. In addition to these courses, you need a solid understanding in atomic structures at the basic level of chemistry. If you don’t like playing with rocks and dirt, then a geotechnical engineering career is probably not going to be of interest to you. From pile design to earthworks, there are tons of opportunities for geotechnical engineers to get their hands dirty. These opportunities exist in construction, transportation, military, mining and petroleum. 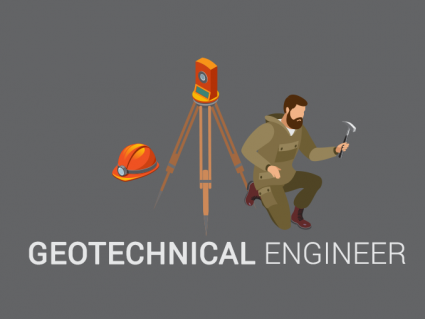 Are you interested in following a path in a geotechnical engineer career? There are lots of opportunities out there. Let us know in the comments what attracts you most to this occupation. My career aspiration is to become a Geotechnical engineer. Love it, it is a very interesting career.